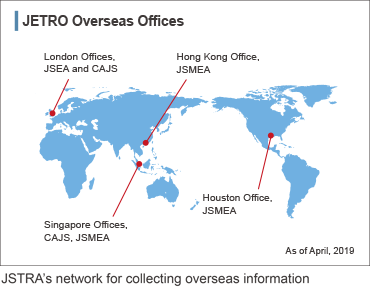 JSTRA analyses and provides overseas information obtained in the course of conducting its regulations, standards and R&Drelated operations. We also convey information to a wide range of fields by announcing our activities, performance and achievements. 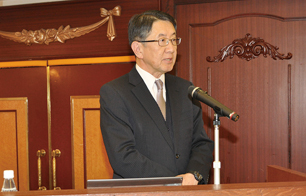 JSTRA cooperates with the Japan Ship Exporters’ Association (JSEA), the Cooperative Association of Japan Shipbuilders (CAJS) and the Japan Ship Machinery and Equipment Association (JSMEA) and utilizes overseas offices of the Japan External Trade Organization (JETRO) relating to shipbuilding and ship machinery in order to gather and analyze overseas information relating to ship technology. In FY2017, JSTRA gathered and analyzed a range of information concerning overseas ship technology, including the surveys listed below. 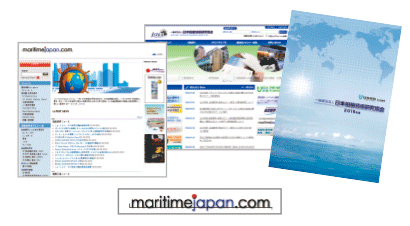 JSTRA also distributes information on Japanese maritime industries to overseas readers, such as through the release of periodicals like Shipbuilding in Japan. JSTRA holds achievement reporting meetings and other events to convey information to its supporting members regarding the achievements and results obtained through its activities. We also provide useful information on ship technologies to our supporting members via our website and e-mail newsletter distribution services.